The objective for the Cleveland Browns this offseason was obvious – make significant improvements to a roster which just finished up the worst season in franchise history. After notching just one win in sixteen chances in 2016, it’s clear Cleveland has nowhere to go but up next year. That said, the team will have to work hard to ensure the roster is looking much better heading into 2017. One way the Browns can do such a thing is by retaining a couple of their marquee players, a task they significantly struggled at last winter. Based on reports from last night, it sounds like they might have learned their lesson this time around. 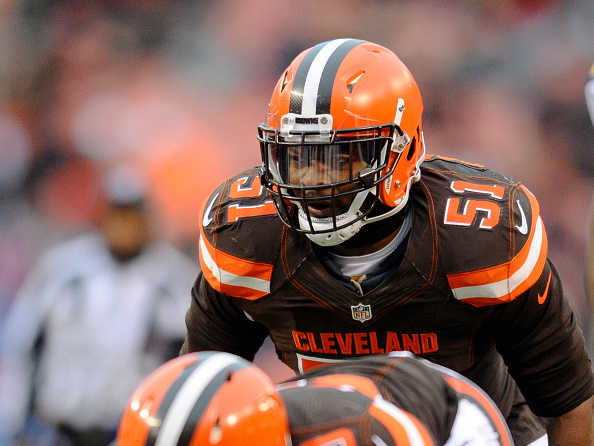 Per Jason LaCanfora, someone who usually (and gleefully) rains on the team any chance he gets, Cleveland has made significant progress on a new contract for linebacker Jamie Collins. While a deal hasn’t been completed at the time of this writing, the belief is everything can be wrapped up this weekend. Obviously this would be a huge move for the Browns during an incredibly crucial offseason. This team has to start showing progress next season, and retaining a proven talent at linebacker would be a big way to help the cause. I’ve made no bones about the apprehension I felt when it came to whether or not Cleveland could re-sign both Collins and wideout Terrelle Pryor. After watching the Browns practically shove all of their free agents out the door last offseason, it became difficult to put faith in their negotiating tactics. There was a genuine fear the front office would just attempt to low-ball Collins and watch another club swoop in take him once free agency started. While the actual numbers being discussed haven’t been released yet, Ian Rapoport of NFL Network claims Collins will make more per-year than Carolina Panthers linebacker Luke Kuechly ($12.36 million). Despite that being an over-payment, it also makes one thing very clear – the front office realized it was time to put its money where its mouth is. The Browns finally deciding to spend big to keep their talent in-house is important for multiple reasons. For one, it says they’re no longer interested in trying to lead the league in cap space. Cleveland comes into this offseason with over $100 million to spend. With that kind of money to work with, there would be no excuse to penny-pinch for a second straight year. The talks with Collins progressing as far as they have indicates this indeed won’t be the case. Adding to the urgency is the fact retaining quality players in general has been something Cleveland has struggled with across the past few years. Knowing the need to keep talent outweighed the need to save money, the Browns are reportedly offering Collins more than he’s worth. Sure the price is high, but it’s the kind of sacrifice they need to make to avoid starting over at every position every single year. It was also important to keep Collins in general based on the fact the team gave up a draft pick to acquire him. Letting him walk in the offseason would’ve essentially been wasting a valuable commodity. The Browns clearly weren’t in a position to be renting players last year, so the concept of giving up a pick for eight games’ worth of Collins and then watching him sign somewhere else would’ve been a failure on their part. As you can see, many things were stacked up against Cleveland coming into this negotiation. The team couldn’t afford to let Pro Bowl player slip away, especially when it gave up something to get him in the first place. The Browns also couldn’t afford to drive a hard bargain and risk adding another hole to an already porous defense. One of the biggest fears coming into the offseason was the Browns disregarding all of this. Clearly Cleveland realized such a choice would’ve monstrously backfired. As a result, the Browns worked hard to retain Collins regardless of the price tag, and it’s a move which will definitely help them moving forward.